Peneda-Gerês is the only national park in Portugal. And it’s incredible. Peneda-Gerês is the single greatest national park in Portugal. It wins on a technicality, being that it’s the country’s only national park. But there’s a certain magic to the mountains and valleys of northern Portugal where Peneda-Gerês lies, snuggled up against Spain, that makes calling it the greatest feel apt nonetheless. 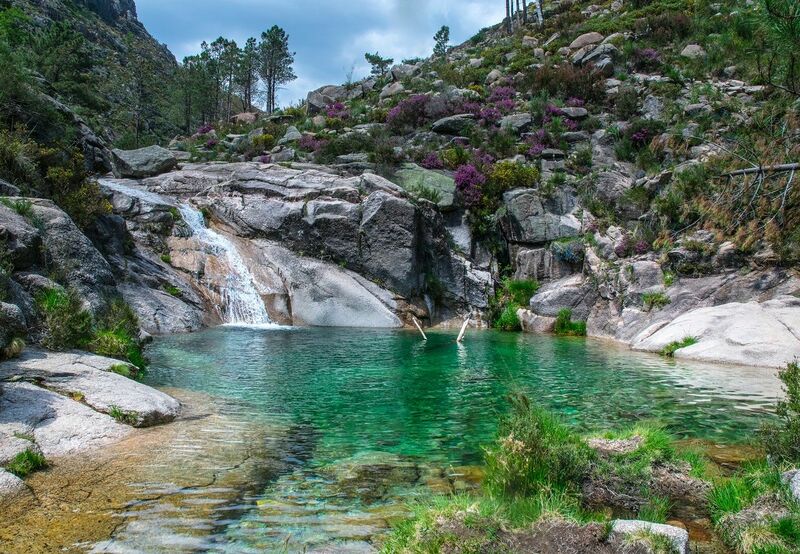 Gerês, as it’s known locally, spans roughly 270 square miles of oak and pine forests, granite cliffs, peat bogs, marshes, rivers, and lagoons between the Castro Laboreiro and Mourela plateaus. Interspersed is evidence of the area’s long human history: ancient Roman relics, megalithic tombs, medieval ruins, and villages still inhabited to this day. Several of the larger villages have accomodation options and tabernas serving up steak dishes and smoked meats that’ll tempt you to stay the night. 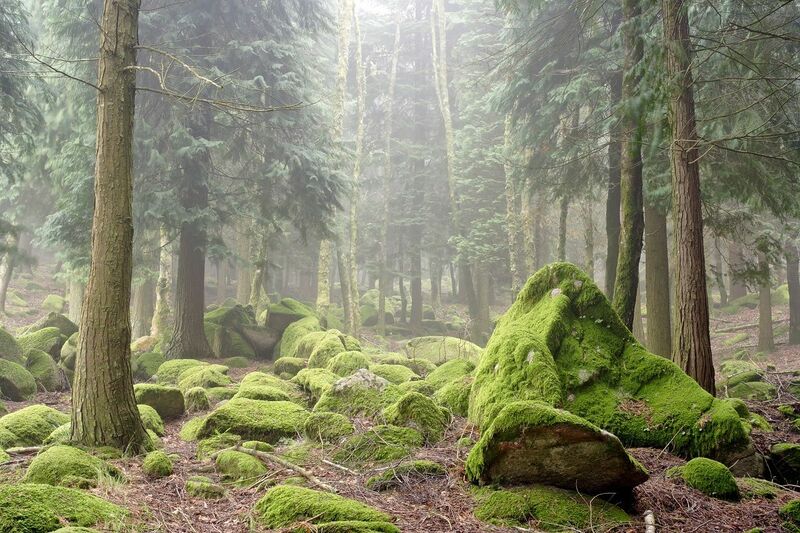 The park is an easy enough day trip to arrange from Porto and a cinch from the city of Braga. But there’s a lot to see, do, and eat. If you have the time, consider spending a weekend or longer taking in the highlights, from hiking trails to holy sanctuaries. 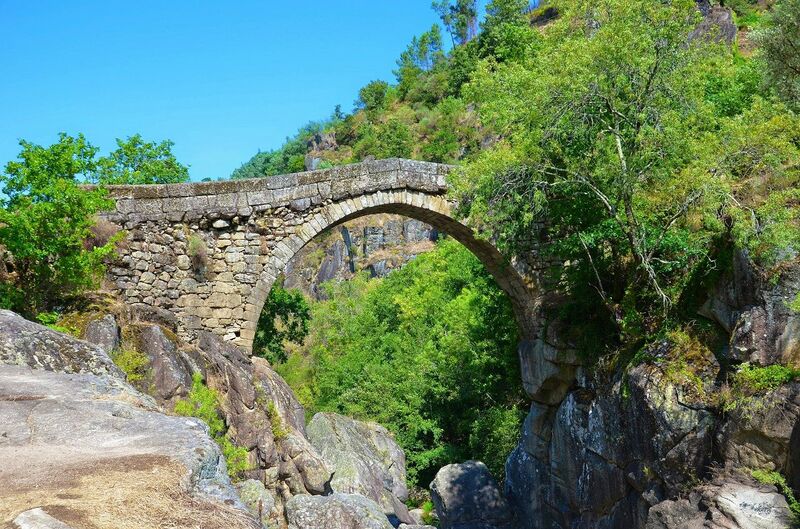 Head to the heart of Gerês for waterfalls and thermal baths. Gerês is split between three districts: Viana do Castelo covers the northern half of the park, and the southern half is shared by Braga and Vila Real. Whether you perked up at the mention of waterfalls or thermal baths just then, make a beeline for the middle district, Braga. There, you’ll find two of the park’s most popular falls and an elegant, if well-worn, spa town. Both of the Braga district’s waterfalls feature natural swimming pools and smooth sunbathing rocks. It’s a quick hike from the frozen-in-time Ermida village to the Cascata Tahiti waterfall and its bright emerald pool. Cascata do Arado, the taller cascade, sits closer to Vila do Gerês, where you can soak in thermal baths that have been frequented since the area’s Roman occupation. Book a spa day (or two) at the Águas Do Gerês hotel and spa in the village center. The hotel also organizes hiking, horseback riding, swimming, and other excursions for guests. Walk, or cycle, the Roman road. A Roman road known as the Geira cuts across the park. The route once connected the ancient cities of Bracara Augusta, now Braga, and Astúrica Augusta, now Astorga, in Spain. Much of the Geira has been preserved, including a stretch that extends from the Portela do Homem village (where there’s another popular waterfall) to the Campo de Gerês village. It’s a nice way to see the Mata da Albergaria oak forest, as well as ancient bridges, memorials, and mile markers bearing old epigraphs. Stick around Campo de Gerês, also known as São João do Campo or simply Campo, when you arrive. Stay at least long enough to visit the Vilarinho das Furnas Ethnographic Museum and see artifacts from the park’s very own Atlantis, a village that was intentionally flooded in 1972 upon the completion of a nearby dam. As with much of the park, there are also pleasant shepherd-forged trails worth hiking around Campo. Tour castle ruins, medieval monasteries, and cozy villages lacking modern comforts. More than 100 granite villages are scattered around the park’s rivers and hills. Many are small, made up of modest stone structures with red roofs, and populated by villagers who pass their days farming and tending to livestock. Others are larger, with identifiable main squares and grand archaeological landmarks nearby. A car will come in handy if you want to see everything. Start your tour up north in the Castro Laboreiro village, with its megalithic castle and bridges and Santa Maria da Visitação church. This is also a good place to fuel up on hearty local fare and fine Portuguese wine, with several options in town. 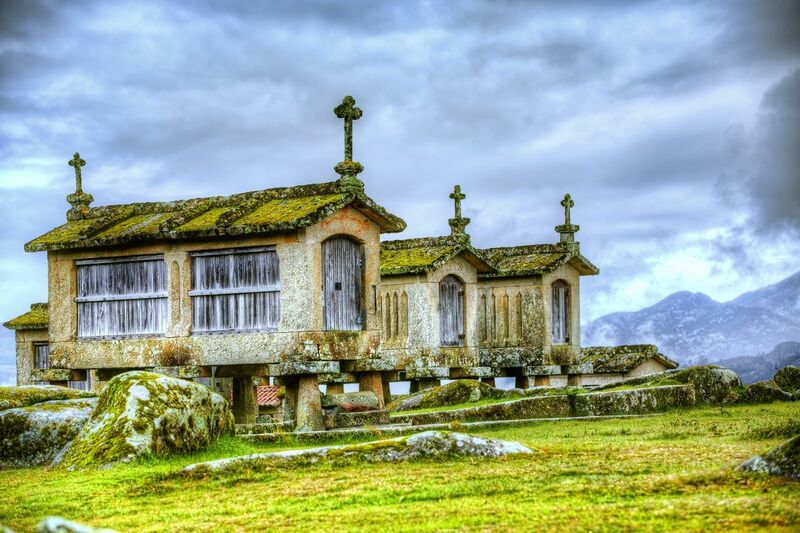 Heading south, hit the 18th-century Santuário de Nossa Senhora da Peneda pilgrimage site and overlooking Vale da Peneda viewpoint, then head to the Soajo and Lindoso villages. Here, you’ll see groups of granaries, or espigueiros, hoisted up on stilts. In Lindoso, they surround a 13th-century castle. Continue on toward Vila do Gerês, outside of which is the São Bento da Porta Aberta church, and make your way to Pitões das Júnias. This quiet, albeit far from undiscovered, village is situated near the Santa Maria das Júnias monastery and yet another waterfall. It’s a solid option come meal time for regional fare like feijoada, or meat stew. And you can always arrange an overnight at the Casa do Preto hotel. Wild ponies, Iberian wolves, and 147 avian species call Gerês home. At times, away from the more heavily trafficked areas, you’ll feel like the only person in the park. Maybe even the world. 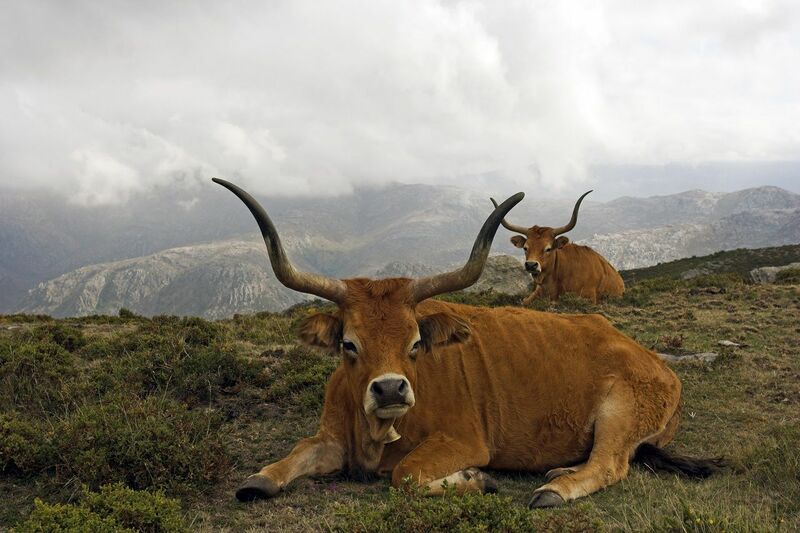 But you’re never truly alone in Gerês, a habitat for more than 200 vertebrate species and countless birds. The likelihood of encountering a wolf is slim given the radically diminished population, but your odds of seeing wild Garrano ponies are actually pretty good. You might also see gold-striped salamanders scampering underfoot, Spanish ibexes roaming, otters splashing, or eagles flying overhead. Birdwatching is hugely popular in the park, particularly on the Calcedónia Trail. The best time to visit Gerês really depends on you. Predictably, your odds of visiting on a warm, sunny day increase dramatically over summer, as do the crowds. Winter ushers in snowfall and the least amount of foot traffic. In general, we recommend visiting during the shoulder seasons. You’re likely to see rain in both fall and spring, but you’ll also get mild temperatures, stunning foliage, and mostly unobstructed views.